Amazon – Buy the DVD for $19.95 with free shipping for Amazon Prime customers. The DVD includes the "Making of The God Question" video and the trailer. Click HERE to go to Amazon page for the DVD. iTunes video on demand – You can rent the film in high definition (HD) for $4.99 or buy it to own for $19.99 by clicking HERE. VHX buy to own – You can buy an HD version of the film to download and own, along with the "Making of The God Question" video and the trailer, for $14.95. It will play on any device. Click HERE to reach the VHX site for the movie. If you watch the film, the cast and crew would greatly appreciate it if you would leave a review on the site where you saw it and on IMDB, the Internet Movie Database (click HERE). Reviews on IMDB are one way independent films get noticed. 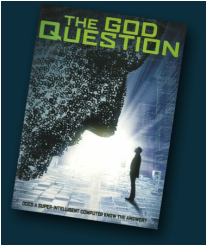 There are several scam websites that offer to let you stream THE GOD QUESTION for free. Do not click on these sites. It is a scam. They do not have the movie and are only looking for personal information from you or to plant viruses on your computer. The film is only being offered right now as streaming video to rent on Amazon and iTunes. In addition, Gaiam TV offers it to subscribers as streaming video. And VHX, Amazon and iTunes offer it as a download to buy. These "watch it for free" scams apply to almost any recently released movie, so again, be careful!